To follow the future network development trends, ZTE launched the unified network management system NetNumen U31. It can manage all the NEs of ZTE wired network, including various devices in the service layer, control layer, bearer layer, access layer, and terminal layer. Multiple networks can be managed in a unified way. The network management functions of fixed networks, bearer networks, terminals, services, and microwave networks are integrated into the NetNumen U31, which means that multiple scenarios can be managed in a unified way. Unified IT/IP software and hardware management: IT devices, IP devices, and software systems, for example, routers, Ethernet switches, firewalls, servers, operating systems, databases, storage devices, clusters, and middleware are managed in a unified way. The NetNumen U31 provides a redundancy solution of high availability by using a cluster consisting of a local server and a remote server. The NetNumen U31 supports multiple platforms and databases. The system is developed based on the JAVA language, so it supports UNIX, Windows, and Linux operating systems, and MSSQL Server and Oracle databases. The NetNumen U31 is modularized, so that it is easy to expand and upgrade. Clients and servers are in platform + EMS mode. All EMSs and management function modules are imbedded in the system platform as components. When you install the NetNumen U31, you can select the devices to be managed to customize your installation. In addition, the NetNumen U31 supports EMS systems of new products, and is compatible with early and later versions. Because it is extendable, compatible, and upgradable, it can meet specific network development needs. The NetNumen U31 supports multiple access methods and networking modes. Networks can be managed at any time and place. Depending on different application scenarios, it can provide three access methods: GUI, CLI, and Web. It can be accessed by either a local client or a remote client, and it can be maintained in a unified manner or locally. You can select a client based on the application scenario, habit, networking requirements, and bandwidth. The NetNumen U31 provides statistics collection. The resource and performance statistics of all managed devices can be collected. This function can be used to guarantee network QoS. The NetNumen U31 provides sophisticated security management. Multiple security levels can be set based on management area, management range, and management function to meet different management requirements. In addition, the NetNumen U31 provides security logs, operation logs, and system logs. 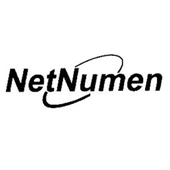 The NetNumen U31 supports single sign-on, which contributes to unified management and maintenance. Data can be saved and managed in a unified manner.